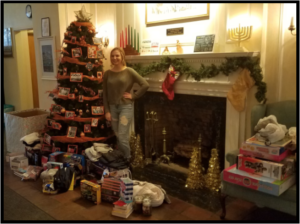 Thanks to the generosity of you, our community, the Women and Family Services Domestic Violence Holiday Assistance Program helped 109 children, 68 women, and 4 men in need of a little extra gift giving help during the 2018 holiday season. Next year’s holiday season will be upon us before we know it – we usually begin collecting items in November, so if you’d like to give, please contact Bonnie at 518.374.3394 ext. 142. *We only use new items for our Holiday program. Used clothing and linens can be accepted for our other programs.